Woojung Son, is an emerging artist based in South Korea. She received her BFA from DanKook University in 2012. Her artwork is inspired by dreams, fantasy, and the world of the imagination. Her compositions are constructed imaginary spaces that are populated with surreal imagery, such as floating deer heads and flying polar bears. 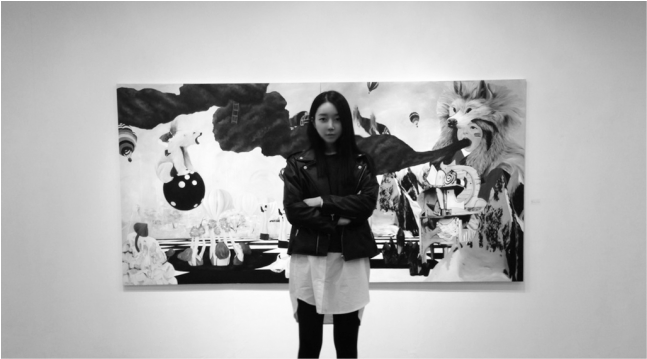 Woojung hopes that through her artwork, people can tap into their childlike imagination. Woojung was a finalist in “The Painted World” Saatchi Art Showdown Competition in 2015, and her artwork had chosen to be featured in the “ ONE TO WATCH “ at Saatchiart.com. and she had her first solo exhibition at Artspaceknot in Seoul in 2014. and she had her second solo show at Ilho gallery in Seoul in 2015. She has exhibited extensively, including in the Seoul Open Art Fair, Daegu art fair, Kidari Gallery, and Ilho Gallery, The bricklane gallery in London. 2016. "reload" at Kidari gallery in Daegu. ⓒ 2017. Woojung Son all rights reserved.